Show animation timeline. View Menu > Animation Timeline. 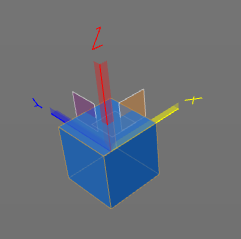 Enable Automatic Keyframing. Command is in Animation menu or animation timeline. Select edit mode: position, rotation, scale. Move or transform the selected object as you require it. Move object to required position. Press the Record Active Object button. This will create an animation key on the timeline. By right clicking on the time line you can create a new key for position, scale and rotation. By right clicking on a key, you can select to delete it. 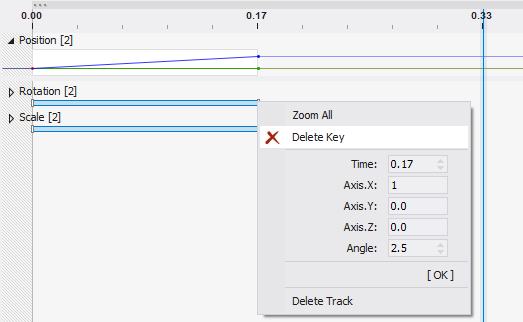 On the timeline you can separately move the keys for position, rotation and scale.